When the Philadelphia Phillies arrived for spring training in March 1911, future Hall of Famer Grover Alexander was not the only highly touted pitching prospect in camp. Held in equal regard was George Chalmers, like Alexander a recent graduate of the Class B New York State League. The previous season, Chalmers, a strapping [6-feet-1, 190 pounds] right-hander, had topped circuit pitchers in victories (25) and winning percentage (.806) while toiling for an otherwise sub-.500 Scranton club. Given a late-season audition by the Phillies, Chalmers had continued to impress, throwing a two-hitter against the New York Giants on the final day of the 1910 season. Sadly, the promise of Chalmers’ early pitching career went unfulfilled. For the next six seasons, he was beset by recurring arm miseries, alternating brief stretches of hurling artistry with longer periods of inconsistency and extended periods of complete idleness. At the end of the 1916 season the Phillies gave up on Chalmers and released him to a minor-league team. Months later, his professional playing career was over. For the remainder of his life, Chalmers lived out of the limelight, a quiet family man working as an insurance claims adjuster. Like myriad others, Chalmers began playing baseball on city sandlots as a boy. By the time he reached his late teens, Chalmers was exclusively a pitcher and hurling for various New York area teams like the All-Hudsons, the Bradford Field Club, the Hobokens, and the Englewood Field Club, reportedly making $25-$30 per game.6 He also played in upstate New York (Red Hook) and Connecticut (Danbury). George even reportedly pitched some games for the Manhattan College nine.7 Despite success in amateur, college, and semipro ranks, Chalmers had difficulty breaking into Organized Baseball. New York Highlanders skipper Clark Griffith reportedly refused him a tryout in early 1908.8 It was also reported that while Chalmers had been signed by the Detroit Tigers, he was never given a trial by the club.9 Finally, the Scranton Miners of the middle-tier minor New York State League decided to give Chalmers a chance, inking him for the 1909 season. During his semipro days, Chalmers had been nicknamed Dode, a handle that evolved into Dut “for no apparent reason when he became a professional.”10 The nickname stuck. Once in harness for Scranton, Dut Chalmers quickly moved to the forefront of circuit hurlers. On May 29 he pitched a two-hit, 4-0 shutout against Binghamton. Two days later, he dazzled the Wilkes-Barre Barons, blanking them 1-0 in 18 innings.11 Another 1-0 gem against Utica was registered by Chalmers 10 days thereafter.12 By midseason, Sporting Life was reporting that “major league scouts are eyeing Scranton’s star young pitcher, George Chalmers.”13 But the Scranton Miners were a bad club, and even a standout like Chalmers struggled to maintain a winning record. In the end, he finished 16-15 (.516) in 34 games14 for a last-place finisher that otherwise went 39-66 (.371). Joining the Phillies in late September, Chalmers was quickly sent into action, but was ill-treated by both sides in his major-league debut, a September 21 start against Cincinnati. The opposition touched up the newcomer for four runs on eight hits in four innings of work, although “many of the hits credited to the Reds were grounders that took bad bounds away from the innerworks quartet.”22 While Chalmers did himself no favors by walking four batters, the play of the Phillies’ defense was more detrimental, officially charged with four fielding errors but apparently deserving of more. In the view of Philadelphia beat writer Jim Nasium (Edgar Forrest Wolfe), “[T]he errors column in the scoring rules isn’t provided with sufficient elasticity to fully account for the Phillies shortcomings in the field during the innings that young Chalmers had to stand out there.”23 Still, a late-game rally propelled the Phillies to a 13-11 win, getting Chalmers off the hook in the process. Employed fitfully in the early going, Chalmers eventually got a start against Brooklyn on May 4. He responded with a seven-hit, 6-0 shutout victory. More than a month would pass before he got another such opportunity, suffering a 5-0 loss to Cincinnati on June 6. By July, however, Chalmers had become a semi-regular member of the Phillies rotation and performed admirably. On July 29 he defeated Chicago, 4-3, to raise his personal record to 9-2. The following day, by-now staff ace Alexander registered his 21st victory, putting the (56-36) Phillies a full 20 games over the .500 mark and into the thick of the NL pennant chase. But from there, neither Chalmers nor Philadelphia could keep up the pace. By season’s close, Chalmers had slipped to 13-10, while a campaign-closing six-game losing streak left the (79-73) Phillies a distant fourth-place finisher to the league champion New York Giants. His roster spot largely guaranteed by the three-year contract that Fogel had given him, an optimistic Chalmers reported over the winter that he felt “like a two-year-old, and his shoulder now swings without a twinge.”38 However well his pitching wing may have felt, Chalmers had plainly lost stuff. In 26 appearances in 1913, he posted a dismal 3-10 log, with a Deadball Era-high 4.81 ERA, for a second-place (88-63) Phillies club. During the offseason, Chalmers rejected overtures from the newly arrived Federal League and returned to Philadelphia. But not for long. His arm miseries had resurfaced, and after Chalmers went 0-3 in three early-season games pitched, the Phillies released him unconditionally.39 Hopeful of continuing his career, Chalmers underwent $20-per-day electronic massage treatments and worked out at the Polo Grounds under the watchful eye of Giants manager John McGraw, a pitching reclamation specialist.40 But Chalmers pitched no more that season. A seemingly recovered Dut Chalmers was brought South by McGraw in spring 1915 and pitched well in exhibition-game outings. With Rube Marquard regressing and longtime ace Christy Mathewson near done, the Giants needed pitching help. So Chalmers remained with the club as Opening Day came and went. But with his 21 roster spots all contract-committed, McGraw felt unable to sign Chalmers. The best he could offer him was a berth with the International League Jersey City Skeeters, managed by former Giants pitcher Hooks Wiltse.41 After a disappointed Chalmers had cleaned out his Polo Grounds locker, he encountered his friend and one-time mentor Pat Moran, now manager of the visiting Philadelphia Phillies. Having heard reports of Chalmers’ encouraging spring performance, Moran decided to take a chance on him. In fact, Moran put Chalmers in the box on April 21, the day after he had signed him – against the New York Giants, no less. Dut responded brilliantly, holding the Giants to two hits in a complete-game 6-1 victory. Used sparingly thereafter, Chalmers pitched well but with little luck, dropping a number of close decisions. A 5-4 win over Brooklyn on June 29 reversed his fortunes. From there on, Dut won six of his final nine decisions to finish at 8-9, with a career-best 2.48 ERA in 170⅓ innings pitched. Behind the Triple Crown pitching of Grover Alexander (31 wins/1.22 ERA/241 strikeouts), the 90-62 Phillies captured their first National League pennant. But in the World Series against the Boston Red Sox, the Phils did not hit (a .182 team BA). With Alexander having already pitched twice and Philadelphia behind two wins to one, Moran bypassed Al Demaree (14-11) and Eppa Rixey (11-12) and handed the ball for Game Four to Chalmers. Dut rewarded his manager’s confidence with a capable performance, scattering eight hits. But he was undone by the Phillies’ lack of offense, dropping a 2-1 decision to Red Sox righty Ernie Shore. The following day Boston rallied for a 5-4 victory to take the Series in five games. The next month brought a happier occasion to the life of George Chalmers. On November 24, 1915, he and Brooklyn bookkeeper Elizabeth Ann Hechler were married at the Scotch Presbyterian Church in Manhattan. In time, the birth of children George (born 1919) and Jean (1922) would complete the family. Chalmers’ time in Kansas City was brief. He went 2-2 in seven games.46 His release by the Blues in late May of 1917 brought Chalmers’ professional baseball career to a close.47 By 1920 George was working as a boilermaker and living with his young family in The Bronx.48 Thereafter, he was employed for decades as a small-claims adjuster by various insurance companies. In his later years, Chalmers suffered from arteriosclerosis, and in June 1960 he suffered a stroke. Six weeks later, a second stroke proved fatal.49 He died at home in The Bronx on August 5, 1960. George “Dut” Chalmers was 72. Following funeral services, his remains were interred at Lutheran All Faiths Cemetery in Queens, New York. Survivors included his wife, Elizabeth, and children, George and Jean. Sources for the biographical detail recited herein include the George Chalmers file maintained at the Giamatti Research Center, National Baseball Hall of Fame and Museum, Cooperstown, New York; US and New York State census data; Chalmers family info posted on Ancestry.com; and certain of the newspaper articles cited below. Unless otherwise noted, stats have been taken from Baseball-Reference and The Encyclopedia of Minor League Baseball, Lloyd Johnson and Miles Wolff, eds. (Durham, North Carolina: Baseball America, Inc., 2d ed. 1997). 1 Baseball reference works invariably list our subject as George W. Chalmers. As far as could be discovered, the middle initial “W.” did not appear in newsprint until after Chalmers’ professional career was over (see a syndicated news article published in the Dallas Morning News and Trenton Evening Times, June 7, 1917), and its provenance proved untraceable. The bona fides of this middle initial “W.,” moreover, is belied by most documentary evidence. For example, Chalmers family-tree information posted on Ancestry.com and US/NY State censuses uniformly list the name of our subject as George Chalmers, without middle name or middle initial. And no middle name or initial appears on Chalmers’ 1917 and 1942 draft registration forms, which he signed “George Chalmers.” Similarly, Chalmers’ August 1960 New York City death records identified the deceased as George Chalmers, without middle name or initial. Given that both his father George Chalmers (born 1852) and his son George Chalmers (born 1919) went without middle name or initial, the writer has concluded that our subject likely had no middle name or initial and that his correct birth name was simply George Chalmers. 2 Doric is a midlands Scottish patois that sounds like unintelligible English to the unfamiliar ear (and is not to be confused with Scotch Gaelic, a Celtic language and the traditional tongue of the Highland Scots). Although the Chalmers family relocated to New York City when George was just a toddler, Doric remained spoken in the Chalmers household. Likely as a consequence, George spoke English with a pronounced Scottish burr his entire life. 3 George’s older brothers were Alexander (born 1878) and John (1881). 4 Harvey T. Woodruff, “Young Players Who Are Making Good in the Major Leagues: No. VII – George Chalmers, Pitcher, Philadelphia,” Chicago Tribune, August 27, 1911. 5 As subsequently reported in the San Jose (California) Evening News, November 7, 1911. 6 As reported in Sporting Life, August 5, 1911, Trenton Evening Times, August 14, 1911, and Chicago Tribune, August 27, 1911. 7 Ibid. and Sporting Life, July 23, 1910. An unsigned player questionnaire submitted to the Hall of Fame library after Chalmers’ death maintained, improbably, that Chalmers actually attended Manhattan for one year. An inquiry on the subject sent by the writer to the Registrar’s Office of Manhattan College went unanswered. 8 As per the Trenton Evening Times, August 14, 1911. 9 According to Sporting Life, August 5, 1911, and the Trenton Evening Times, August 14, 1911. 10 Woodruff, Chicago Tribune, August 27, 1911. 11 As reported in the Wilkes-Barre (Pennsylvania) Times-Leader, June 2, 1909. 12 As per Sporting Life, June 19, 1909. 13 Sporting Life, July 31, 1909. 14 According to Sporting Life, July 23, 1910. Woodruff reversed the Chalmers’ record, putting him at 15-16. See again the Chicago Tribune, August 27, 1911. Baseball-Reference provides no won-lost record for Chalmers in 1909. 15 Sporting Life, July 16, 1910. 16 As reported in the Wilkes-Barre Times-Leader, July 10, 1910, and the Grand Forks (North Dakota) Evening Times and Sporting Life, July 16, 1910. A later report inflated the purchase price to an extraordinary $6,500. See Sporting Life, August 27, 1910. 17 As per the Wilkes-Barre Times-Leader, July 12, 1910, and Sporting Life, July 16, 1910. 18 Sporting Life, July 23, 1910. 19 As per the Wilkes-Barre Times-Leader, August 15, 1910, and Sporting Life, August 20, 1910. 20 According to the Wilkes-Barre Times-Leader, December 12, 1910, and The Encyclopedia of Minor League Baseball, 169. But 1910 New York State League pitching records are not uniform. NYS League stats released by minor-league overseer John H. Farrell in December 1910 and the present Baseball-Reference credit rival Grover Alexander of the Syracuse Stars with a league-leading 29 wins. 21 Wilkes-Barre Times-Leader, September 17, 1910. 22 According to the Wilkes-Barre Times-Leader, September 22, 1910. 23 Philadelphia Inquirer, September 22, 1910. 24 Sporting Life, December 17, 1910. 25 Philadelphia North American, December 24, 1910. 26 As reported in the Wilkes-Barre Times-Leader, January 6, 1911. 27 According to assessments of Phillies spring play published in the Philadelphia Inquirer. 28 Alexander had been acquired by the Phillies in the September 1910 minor-league player draft. 29 Woodruff, Chicago Tribune, August 27, 1911. 30 As per Sporting Life, January 27 and February 3, 1912. The same 30-win bonus clause was also inserted in Grover Alexander’s new contract. 31 As per Sporting Life, March 16, 1912. See also, “George Chalmers,” baseballhistorydaily.com/2013/08/05/ george-chalmers. 32 As reported in the Rockford (Illinois) Register-Gazette, December 1, 1911, and Sporting Life, December 2, 1911. At the time, the Scotland-born Chalmers was a British national. The owners of the steamer Miami were fined $100 for misidentifying Chalmers’ nationality on the passenger manifest, a fine that Chalmers offered to pay. 33 As per the Anaconda (Montana) Standard, December 3, 1911. 34 As per the (Little Rock) Arkansas Gazette and Denver Post, April 6, 1912. See also Sporting Life, June 8, 1912. 35 Sporting Life, August 10, 1912. 36 The description of Chalmers by Jim Nasium in the Philadelphia Inquirer, September 5, 1912. 37 As reported in the Duluth (Minnesota) News Tribune and Grand Forks Evening Times, September 28, 1912. 38 As per the Wilkes-Barre Times-Leader, February 4, 1913. 39 As reported in the Tulsa World, June 21, 1914, Rockford Register-Gazette, June 22, 1914, and Augusta (Georgia) Chronicle, June 24, 1914. 40 As per Sporting Life, August 8, 1914. See also the Canton (Ohio) Repository, November 22, 1914. 41 As reported in Sporting Life, April 2, 1915, and the Wilkes-Barre Times-Leader and Watertown (New York) Times, April 21, 1915. See also Christy Mathewson, “Matty’s Column,” Salt Lake Telegram, May 2, 1915, and Sporting Life, May 8, 1915. 42 See J.C. Kofoed, “George Chalmers: The Story of a Cast-Off Comeback and the Great Ability He Has Shown on a Pennant-Winning Club,” Baseball Magazine, March 1916, 79-81. 43 See, e.g., Sporting Life, October 28, 1916. 44 As reported in the Washington (DC) Evening Star, November 9, 1916, Cincinnati Post, November 10, 1916, and Sporting Life, November 18, 1916. 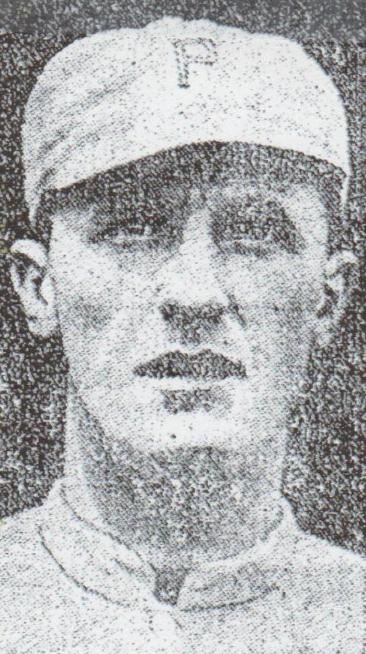 45 As per “Injured Arm Spoils Career of Dut Chalmers, Now with Phillies,” Trenton Evening Times, June 7, 1916, and Wilkes-Barre Times-Leader, June 9, 1916. 46 As per the 1918 Reach Official Baseball Guide, 182. Baseball-Reference has no 1917 data on Chalmers. 47 Chalmers’ release was reported in the Kansas City Star, May 31, 1917. 48 As per the 1920 US Census. 49 As per medical records contained in the George Chalmers file at the Giamatti Research Center.